Semi-blinded Eddie (Sean Harris) has to pay off his debts otherwise he’ll lose an eye to the gangsters who plucked out the other one. He’s handed a lifeline by childhood sweetheart, the wealthy Linda (Sarah Matravers), who is looking for her missing husband. She’ll pay him well if Eddie can find him. You only need to have seen the recent Gomorrah to know how impressive a film about gangsters and housing projects can be. 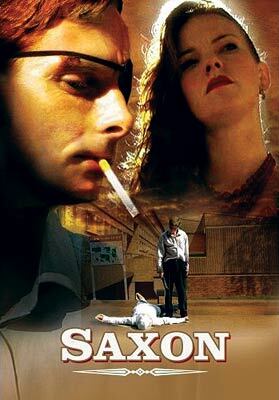 Saxon, set on a since demolished Croydon housing estate is yet another low-budget Brit flick with nothing much to say about a violent milieu. Aside from some deft uses of the jump cut, this is cumbersomely acted, directed and shot. Extras include cast and crew interviews and a behind the scenes documentary.